TiS 268 / AHB 224 / AoV1-170 / NCH132 / CH320 / UMH246 / VU59 / LBW039 / ELW267 / GA295 / HPP107 / PH040 / GtG134 / GC343 / GC(II)353 / G(3)437 / CP154 / CP(E) 57 / W&R179 / Cha143 / Srce399 / 82Hml-100 / Lau156 / StF330 / MP393 Joy to the world The Lord is come (Watts) It's Christmas! Sing Christmas carols! This one is especially good (even though it's not REALLY a Christmas Carol). Oldy-but-a-goody. 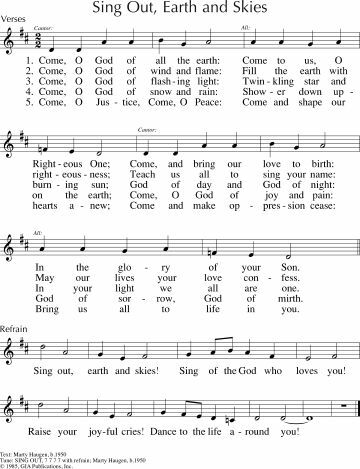 TiS 281 / AHB 214 When God Almighty came to be one of us This is a great Christmas season song, particularly for Epiphany next week also. It’s also set to a very easy (and fun) tune to sing (URQUHART). I especially love verse 3 "Wise men, they called them, earnest astrologers, watching for meaning in the moving stars, science or fancy, learned or laughable, theirs was a vision that was brought to pass. Sing all you wise men, dance all the scientists whether your theories are false or true. God uses knowledge, God uses ignorance. God at his coming had a need of you". Lyrics. AoV2-120 / AoVK-009 God Is Good let the sun and moon and stars say "God is Good" (Chan) Fun. Not easy, but probably worth the effort if you feel like learning something new, or giving your musicians a challenge. Lyrics. Sound sample. Good for kids (but I don't think it has to sound as childish as the sound sample). TiS 477 / Iona (LFB, Common Ground) / CH510 / StJ / GA529 / A&M450 / CP059 / SP218 / URW056 / StF028 Jesus calls us here to meet him as through word and song and prayer Good words and a rollicking or gentle Celtic tune (depending on how you play it!). Don't get too gentle though, or it is very hard to sing. Notice that there should not need to be a breath after EVERY line! Lyrics (downloads PowerPoint slides) 4th verse (not in TiS, but in Iona sources) leads to communion. “Jesus calls us to confess him Word of life and Lord of all, sharer of our flesh and frailness saving all who fail or fall”. Spoken Word Kids Who Die (Langston Hughes) This poem from 1938 is still something we need to hear. I think this would be a really useful reading to ponder today. Poem. Powerful video read by Danny Glover. *Online Resource Come Christmas Child (Murray) A wonderful new song that fits the themes we are exploring this year: that Christ will come amid the pain and hurt that exists in the world (oh, maybe we explore that every year?). The tune is not easy - it will need to be taught, but the lyrics will make it worth the time! Lyrics and sheet music. 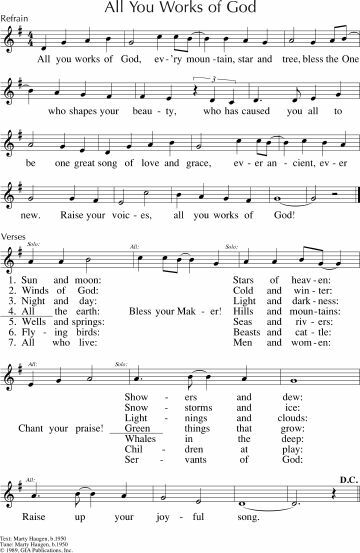 Online Resource Rise Up (BiFrost Arts) Not a congregational song. You could use the recording, or get your musicians to play this. Sound sample, purchasing options. Online Resource In Bethlehem a Newborn Boy (Hernández) A simple & quite lovely song that tells the story & updates it for today's world. Sheet music & lyrics. *VU77 / PH035 / GtG153 / 82Hml-246 In Bethlehem a Newborn Boy (Herklots) Great words acknowledging the danger Christ was born into, the danger that still exists today, and Christ's redemptive power over it. The phrase "but down the ages rings the cry of those who saw their children die" is so powerful, and reminds me of families in Syria, on refugee boats, and in hospitals. The tune is suitably solemn and simple; somewhat formal. WoV639 / PH045 / W&R207 / 82Hml-113 Oh Sleep Now Holy Baby (Hispanic folk song) A lullaby from a mother to a child who is in danger. This would be a good song to remember the fear of Christ's family, and the fear of all whose children live in danger. Lyrics. Sound sample. A&M077 / HPP141 / CP(E)60 / 82Hml-247 Lully lulla thou little tiny Child (Coventry Carol) A very lovely and sad lullaby. I love this song; is it weird that we used to sing our baby to sleep with this song? Lyrics and sheet music. I've just listened to about 10 versions on YouTube. This is my favourite. And a version with a beautiful lute. Oldy-but-a-goody. *CH330 The tyrant issues his decree (Cunningham) A song about the slaughter of the innocents that realistically presents the story and makes it easy to see the parallels with similar images from the news. Sung to a straightforward 15th century tune (AGINCOURT) Verse two: "Bewildered parents claw the air with shrieks of horror and despair, and all of Bethlehem laments the slaughter of the innocents." 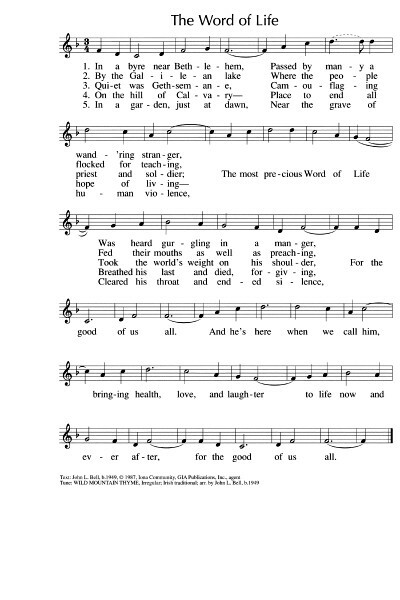 *MV111 / Online resource A voice was heard in Ramah (Gillette) Lament, death of children; peace; war; Good words to a very straightforward hymn tune (LLANGLOFFAN). Lyrics. TiS 293 / AHB 218 / CH331 / VU054 / CP(E) 73 / 82Hml-098 / StF218 / MP714 Unto us a boy is born (15th century Latin) Verse 3 is particularly appropriate for this week. A very simple and well-known carol. Lyrics and sound sample. 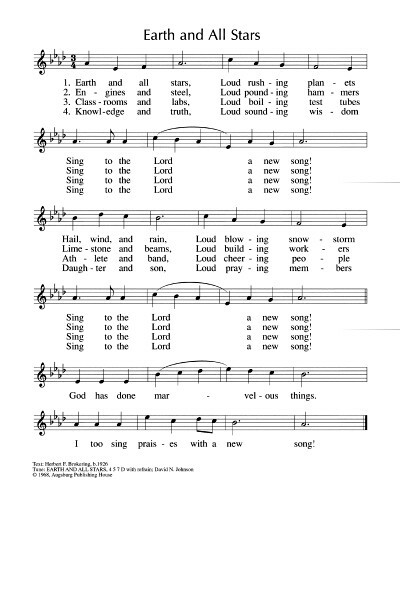 Most hymnals have now changed "all men surpasses" to something more inclusive (e.g. "all folk surpasses"). Lyrics. Oldy-but-a-goody. If you have ideas, I'd love to hear them! Please leave a comment below.